For those living in the United States, a vacation to Africa may seem like an impossible dream, not least because of the arduous flights required to get there. 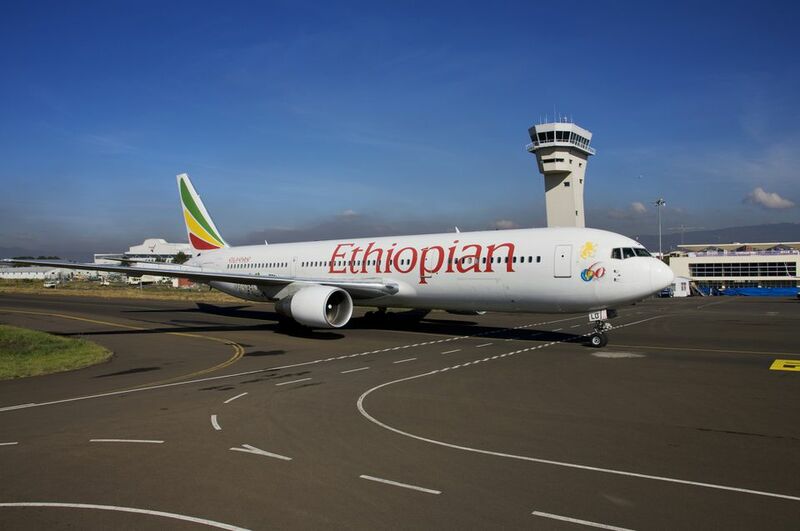 The vast majority of routes involve a lengthy layover in Europe or the Middle East - and if you're headed to a more remote location in the east or south of the continent, you're likely to have a second stop at an African hub like Addis Ababa or Johannesburg. However, several airlines do offer direct flights from the east coast of the United States to a number of African destinations. They are usually more expensive than indirect flights, but if saving time is a priority, they could be just the lifesaver you're looking for. As of July 2018, airlines flying direct to Africa include Delta, South African Airways, EgyptAir, Ethiopian Airlines, Royal Air Maroc and TACV. Please be aware that schedules can change at any time. Delta Airlines flies direct to several West African destinations. There are non-stop flights from Atlanta (ATL) and New York (JFK) to Lagos (LOS), Nigeria's largest city. The Atlanta flight leaves at 22:13 and arrives in Lagos at 15:00 the next day (a flight time of approximately 12 hours). The New York flight leaves at 22:55 and arrives at 14:50 the next day. Those living in New York can also fly non-stop with Delta to Dakar (DSS) in Senegal or Accra (ACC) in Ghana. The Dakar flight takes just over eight hours and departs at 22:55, arriving the next day at 11:00 local time. The Accra flight leaves New York at 17:43, arrives at 08:15 the following day and takes approximately 10.5 hours. South African Airways also has a daily direct flight from Washington, D.C. (IAD) to Dakar (DSS). The flight leaves Washington at 17:40 and takes approximately eight hours to reach Senegal, arriving in Dakar at 05:35 the following day. Finally, TACV, the national airline of Cape Verde, offers a direct flight once a week from Boston (BOS) to Praia (RAI). The flight leaves Boston on Mondays and returns from Praia on Fridays. EgyptAir operates a daily flight from New York (JFK) to Cairo (CAI). The flight departs New York at 18:30 and arrives in Cairo at 11:00 the following day, giving a total flight time of around 10.5 hours. The return flight departs Cairo at 09:35 and arrives back in New York on the same day at 15:15. This flight is slightly longer at just over 11.5 hours. Royal Air Moroc offers two direct flights a day from New York (JFK) to Casablanca (CMN). The first leaves at 07:30 and arrives at 19:20, while the second leaves at 21:00 and arrives at 08:50 the next day. Both flights take approximately seven hours. The airline also offers a direct flight from Washington, D.C. (IAD) to Casablanca (CMN). This flight leaves at 21:55 and arrives one day later at 10:05, taking just over seven hours. South African Airways fly direct to Johannesburg (JHB) from Washington, D.C. (IAD) and New York (JFK). The daily flight from Washington, D.C. leaves at 17:40 and arrives in South Africa at 16:50 the following day. Although it's classed as a non-stop flight, it does involve a technical stop in Dakar for refuelling, giving the flight a total time of just over 17 hours. The return flight from Johannesburg to Washington departs at 18:35 and arrives at 06:25, stopping in Accra to refuel. The New York flight leaves at 11:15 and arrives at 08:05 the following day, taking almost 15 hours in total. Delta Airlines flies direct from Atlanta (ATL) to Johannesburg (JHB). The flight departs from Atlanta daily at 20:03 and arrives in South Africa 15.5 hours later at 17:35 local time. Return flights leave Johannesburg in the evening and arrive in Atlanta early the following morning. Ethiopian Airlines flies direct from Washington, D.C. (IAD) to Addis Ababa (ADD), the capital of Ethiopia. Flights depart at 11:00 and arrive at 07:15 the following day. This article was updated and re-written in part by Jessica Macdonald on July 11th 2018.